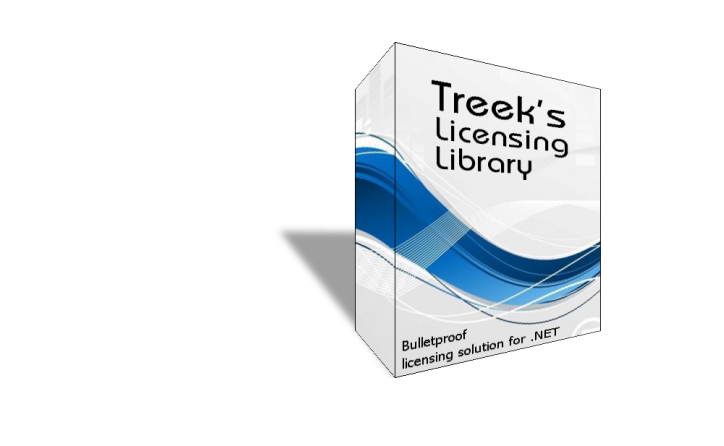 Treek's Licensing Library (TLL) is the most secure, easy to use and complete solution to bring license management into your Windows applications. TLL can be used natively in .NET, but it can be used through COM in any other Windows application also. Supported languages: C#, VB.NET, C, C++, Office VBA, F#, J# and more. Our well documented library can be set to work with your project within 10 minutes. Our toolbox will help you to issue licenses quickly. Our licensing library is based on asymmetric cryptography. This ensures, that the system is unbreakable with actual computer performance. Optionally, you can order our activation server to automatically process orders. You can build similar system on top of TLL on your own too. With prices starting at $49 is our product the most affordable and complete licensing solution. Feel free to check who trusts us. Our product supports hardware based license issuance, time restricted licenses and other advanced features to protect your application. If you find a security or working problem in Treek's Licensing Library, we'll solve it promptly or give you all money back.